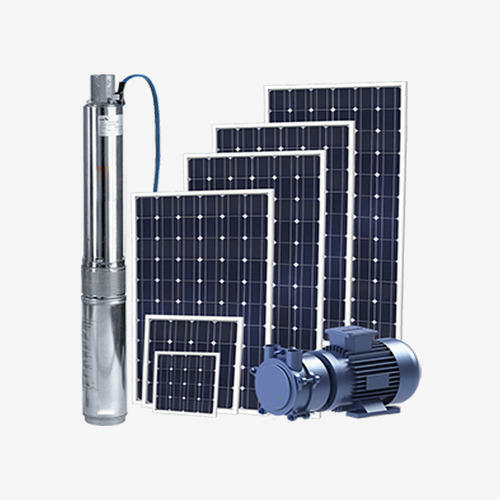 Averer Pumps, presents the range of Averer Solar Pumping Systems which harnesses the power of sun and effectively pumps out water for demanding applications like agricultural, farms, gardens, drinking water, households, commercial industrial, throughout the day, 300 days a year. Averer Solar Pumping Systems are easy-to-deploy in a shadow free space, in any remote locations, village rural areas, new construction sites where there is no grid power at all or with the availability of limited grid power. Solar Power is also an alternate source of energy to power the existing pumps save millions of units from the grid in a clean, green and efficient way. High technology automatic controller with dynamic MPPT (maximum power point tracking) control method. Established in the year 2015, at Jaipur (Rajasthan, India), we “Averer Technologies Pvt. Ltd.” are one of the foremost companies, actively occupied in offering Solar Energy Solutions, Solar energy related products, Website Development Services, SEO Services, Application Development Services, Android App Development Services, IOS App Development Services, Desktop Development Services, etc. Our adroit professionals possess enormous experience in this domain that allows us to constantly render highly reliable services as per the demands of our patrons. These solar energy solutions are provided by our deft experts having immense experience. Besides, offered development services are imparted by our software engineers and who are well versed with all the development techniques used in IT industry. Features such as client-centric approach, timely execution and high reliability are crucial features of our services that make us highly renowned in the market. Our client centric approach assists us in building strong relations with our patrons, so that we can attain their maximum satisfaction.